The chaotic events of A.D. 395–400 marked a momentous turning point for the Roman Empire and its relationship to the barbarian peoples under and beyond its command. 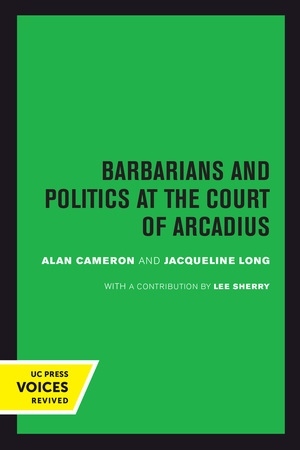 In this masterly study, Alan Cameron and Jacqueline Long propose a complete rewriting of received wisdom concerning the social and political history of these years. Our knowledge of the period comes to us in part through Synesius of Cyrene, who recorded his view of events in his De regno and De providentia. By redating these works, Cameron and Long offer a vital new interpretation of the interactions of pagans and Christians, Goths and Romans. In 394/95, during the last four months of his life, the emperor Theodosius I ruled as sole Augustus over a united Roman Empire that had been divided between at least two emperors for most of the preceding one hundred years. Not only did the death of Theodosius set off a struggle between Roman officeholders of the two empires, but it also set off renewed efforts by the barbarian Goths to seize both territory and office. Theodosius had encouraged high-ranking Goths to enter Roman military service; thus well placed, their efforts would lead to Alaric’s sack of Rome in 410. 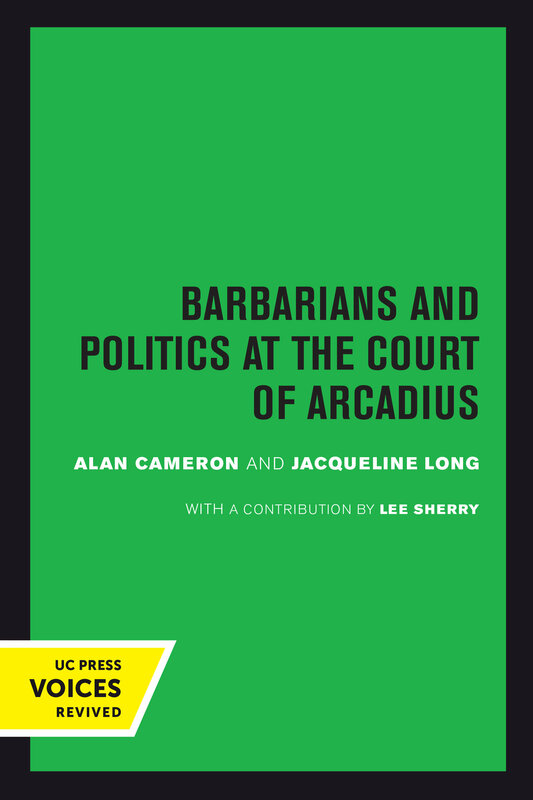 Though the authors’ interest is in the particularities of events, Barbarians and Politics at the Court Of Arcadius conveys a wonderful sense of the general time and place. Cameron and Long’s rebuttal of modern scholarship, which pervades the narrative, enhances the reader’s engagement with the complexities of interpretation. The result is a sophisticated recounting of a period of crucial change in the Roman Empire’s relationship to the non-Roman world. Alan Cameron was Anthon Professor of Latin Language and Literature at Columbia University. Jacqueline Long is Associate Professor of Classical Studies at Loyola University Chicago. LeeSherry, at the time of original publication, was a research fellow at Dumbarton Oaks, Washington, D.C.